Aker BP is about to complete drilling of the Frosk exploration well 24/9-12 located near Alvheim in the North Sea. The well has proved oil. Preliminary analysis indicate a discovery size of 30-60 million barrels of oil equivalents (mmboe), which is significantly more than the company’s pre-drill estimates of 3-21 mmboe. The discovery also has a positive impact on the assessment of further exploration potential in the area. FPSOFloating production, storage and offloading. Flytende produksjonsenhet, med lagring og lossing.Floating production, storage and offloading unit. 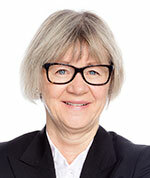 years», says Gro G. Haatvedt, Senior Vice President Exploration in Aker BP. possible exploration targets», Haatvedt says. press release when the evaluation of the discovery has been completed.